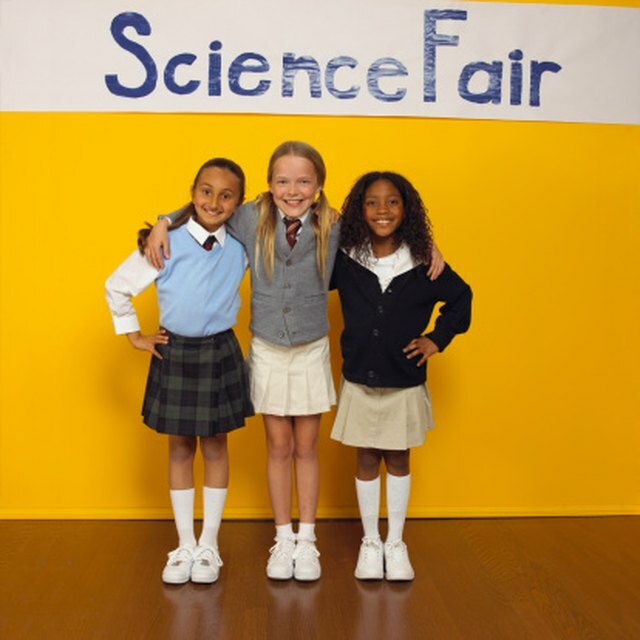 Scientific investigations are a lot like detective work and fifth-grade students are up for the challenge. Fifth-graders back up their natural curiosity with a measure of patience, allowing them to follow a investigatory project for days rather than hours. Along the way they learn any number of interesting scientific facts. Students discover important information through active experimentation. A hands-on science investigatory project takes knowledge from books to learning by doing. Magnets make an interesting investigatory project for fifth-grade students. Lay out a table filled with different shapes and strengths of magnets. Have students test magnetic strength by lifting a variety of objects the weigh ahead of time. Have the students investigate changes of magnetic strength and pull with different magnet shapes. Investigate what objects magnets attract, what objects the magnets repel and which objects don't do anything when a magnet is placed on or near the magnet. Investigate what happens when placing paper, water, sand or metal between two magnets. Ask students to keep meticulous notes of their experiments, including time and date, what the students planned to do, guessed would happen and the actual results of the investigation. Have the students show how results differed from what the students thought would happen. Food spoils or grows moldy, but different foods do this at different rates and in different ways. Set up an investigatory project for your grade-five students to check out the rate that cheese becomes moldy. Use both natural and processed cheese. This projects has several parts. Refrigerate both natural and processed cheese. Divide the refrigerated cheeses into two parts. Wrap half and leave the other half unwrapped. At the same time, leave both natural and processed cheese unrefrigerated with half wrapped and half not. Have students keep careful notes as they check all portions of the cheese each day. Note changes. The fifth-grade students view what happens to each portion of cheese and notes which first shows mold. Have the students draw up conclusions at the end of the project. Plants grow depending upon strength of the plant and environment. 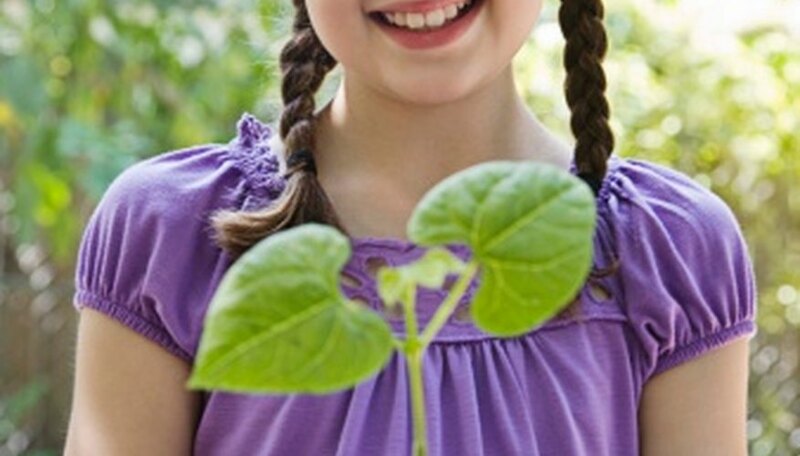 With your grade-five students, set up an investigatory plant growth project. Work as a class with each student assigned to one or more plants. Provide flower plants as much alike as possible for this investigatory project. Have students plant the flowers in different sizes and types of pots such as plastic, clay or ceramic. Use the same potting soil for each. Provide the same amount of sun and water. The students investigate the difference the type of pot makes on plant growth. Another project might include using similar pots, but different types of soils such as potting soil, clay or sand. Investigate the growth of plants with full sun, some and none at all or see what happens when the plants are given differing amounts of water. Students write up the results of their investigations. Go into the kitchen for this fifth grade investigatory project. The project is to take ordinary kitchen products such as milk, sugar, oil, flour and eggs and see what happens when the products are heated, cooled or frozen and when the products are combined with a variety of other products. For example, mix milk, flour and mustard and heat. Mix lemons, sugar and pancake syrup in water. Check consistency, flavor and changes. Ask the students to note what combination of ingredients make an edible product, and which do not. Scheidies, Carolyn. "Investigatory Project for Grade 5." Sciencing, https://sciencing.com/investigatory-project-grade-5-8674360.html. 24 April 2017.